What’s the value of volunteering to a community? Perhaps the first thing that comes to mind is that volunteering spreads goodwill amongst people. Time is a precious resource we cannot replace, and donating it towards a worthy cause is a noble display of charity. Or, perhaps you thought about how volunteering helps people develop professional skills and build resumes while simultaneously helping others. Maybe you simply pictured the recipients of volunteer efforts who benefit from free meals at a soup kitchen or well-maintained hiking trails. But what’s the dollar value of volunteering to a community? It’s probably more than you think. When someone does volunteer work, they are providing free labor, but the work itself inherently still has value. Just imagine what we would have had to pay someone for that hour of labor. In 2017, Independent Sector announced that the approximate value of a volunteer hour in the U.S. is $24.14. That is no small amount, especially when we consider the mammoth amount of volunteering happening across the country. About 63 million Americans volunteer their time every year, offering up a total of 8 billion hours of free labor. That’s a huge contribution to the economy. (Here is a fun tool to estimate your own volunteered contribution to the economy. )Because no monetary transaction takes place when people volunteer, these contributions are not captured by GDP statistics – which is why the impact of volunteering on society can be so surprising. So, besides bringing people together, developing a more skilled population, and providing aid to the disadvantaged, volunteering has economic value within communities. Obviously, charitable work is not about the money – but that doesn’t mean its monetary value shouldn’t be acknowledged. It’s just another benefit of sacrificing time to do good in the world. Behind the scenes of any volunteering effort, there are people organizing, gathering, and planning. 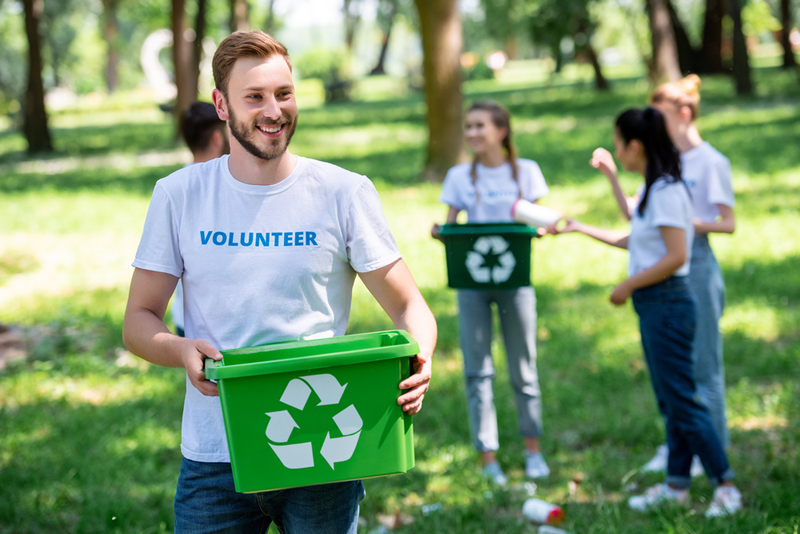 From acquiring tools and materials, pinning down logistical details, and recruiting people, organizing volunteer work is a lot of work in and of itself. But it doesn’t have to be difficult.